So yesterday was World Read Aloud Day. What a great idea! I love reading aloud. When I write, I often test a sentence I’m not sure about by reading it back to myself over and over, listening for the way the rhythm falls. It’s something poets do all the time but it really helps for prose as well. In celebration of World Read Aloud Day, I got to do something really fun. I signed up on a register over at Kate Messner’s blog and volunteered to Skype visit with some schools. Even though it was *World* Read Aloud Day, most of my requests came from the US. With the time difference I could only fit a small handful in because while they were waking up to their school day, I was getting ready to head for pyjamas. For me, it was World Read Aloud Night, because I started Skyping at 10.30pm and finished after midnight. 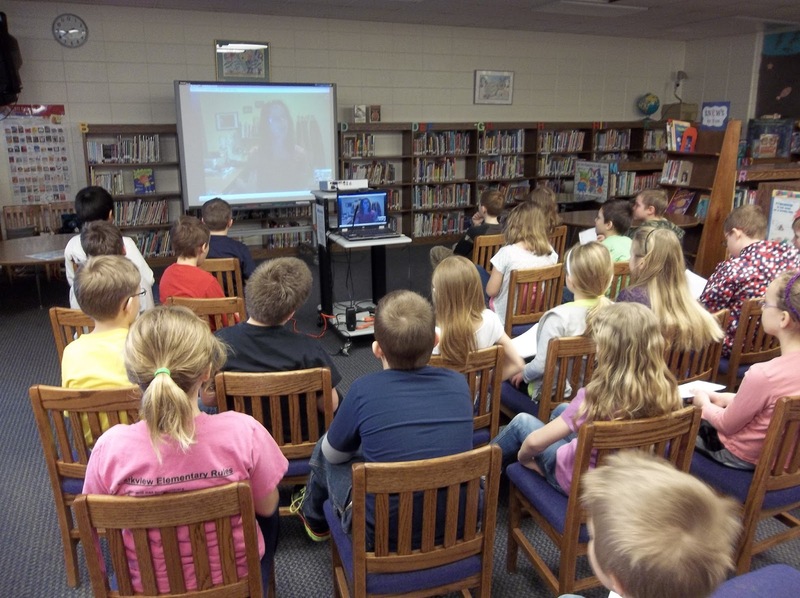 I ended up talking to elementary schools in Wisconsin and Illinois – some 2nd graders and some Grade 5 students. I read to them from Duck for a Day and Surface Tension and we talked a bit about some of the ‘Australianisms’ in the books, and the changes that were made for US publication. In the case of Surface Tension that included the title and the jacket, but I’m going to talk a bit more about that in another post. It was amazing to be connecting with kids on the other side of the world. So funny to be sitting here at the end of a hot beach-y day in Fremantle, talking to kids who have just returned to school after a ‘snow day’. As I said to the 5th graders, somehow a snow day feels to me like something magical and slightly unreal, the sort of thing you read about in books but which can’t actually happen in real life. For these kids, though, it is very real. In fact, we did have some technical difficulties at points during the call and I heard later that a big snowstorm had recently blown through some of the local areas, so perhaps that was a factor. Here’s a photo of my giant head suspended on a screen in a Wisconsin library (Hmm … I think I’m going to file that one under “Sentences I never thought I’d write”). It was great to receive this photo and get a sense of how the kids experienced the ‘visit’. It’s also nice to see the kids a little more clearly; because of the connection, there were times when they were just blurry smudges, which made question time quite amusing: The girl in pink? No, you’re purple now. Wait, you’ve gone all wobbly. YOU’RE SHAPE SHIFTING. YOU’RE MELTING! YOU MUST BE AN ALIEN! LOOK OUT EVERYONE! It is entirely possible that last part only happened inside my head. But as I said to some of the kids, this is part of what writers do: we take a little bit of the world around us and then we just go crazy with it. That’s how we turn our teachers into solar-charged superheroes. Be honest with me, Grade 5s – you’ll never look at him in quite the same way again, will you? Thanks, Wisconsin and Illinois! I had lots of fun. And now I might go have a nap. This entry was posted in Chapter Books, Duck for a Day, Junior Fiction, Surface Tension and tagged school visits on March 7, 2013 by Meg McKinlay.